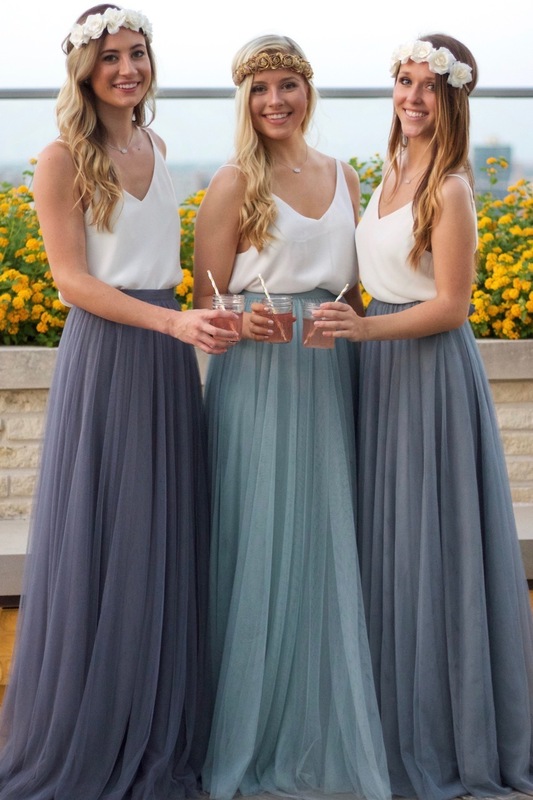 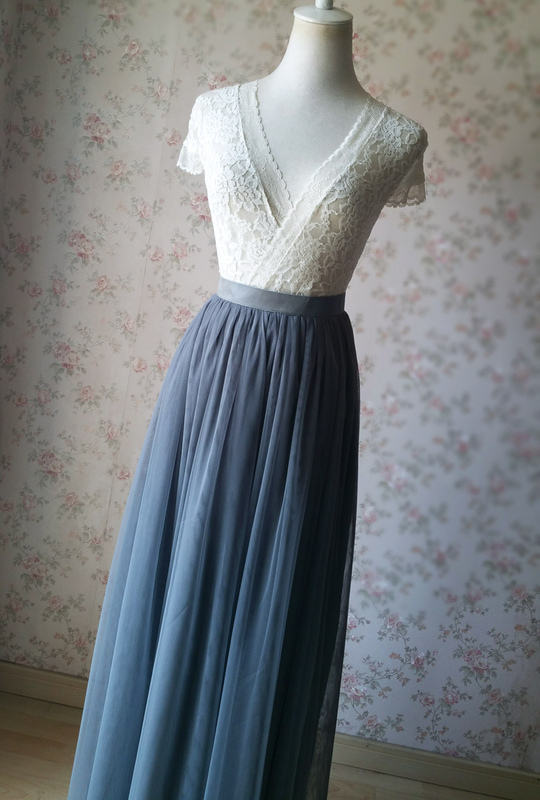 WEDDING BRIDESMAID SKIRT, MAXI TULLE SKIRT, GRAY WEDDING SKIRT, FULL TULLE SKIRT, Plus size Tulle Skirts, Custom Top Quality WEDDING SKIRT, GRAY Wedding Bridal Skirt, GRAY Bridesmaid Skirt.Any Size. 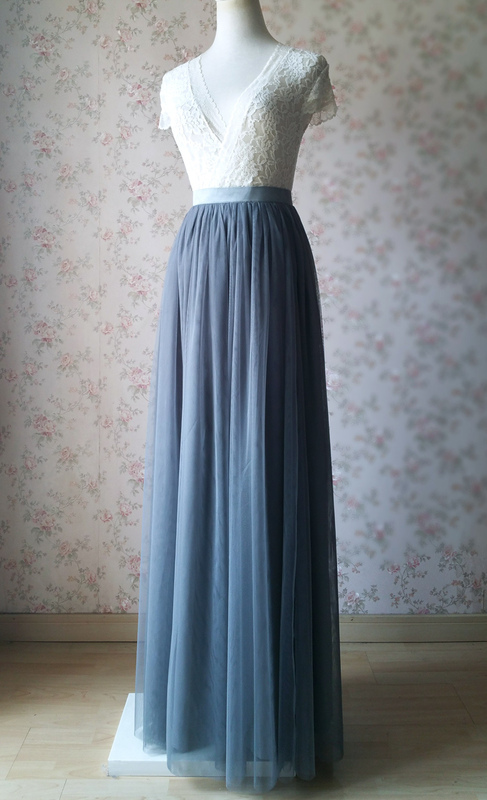 * This maxi dress is made from 2 layers top quality Tulle and one piece of imitating soft satin lining as inner layer. 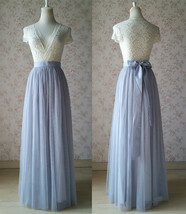 Best Quality with custom service. 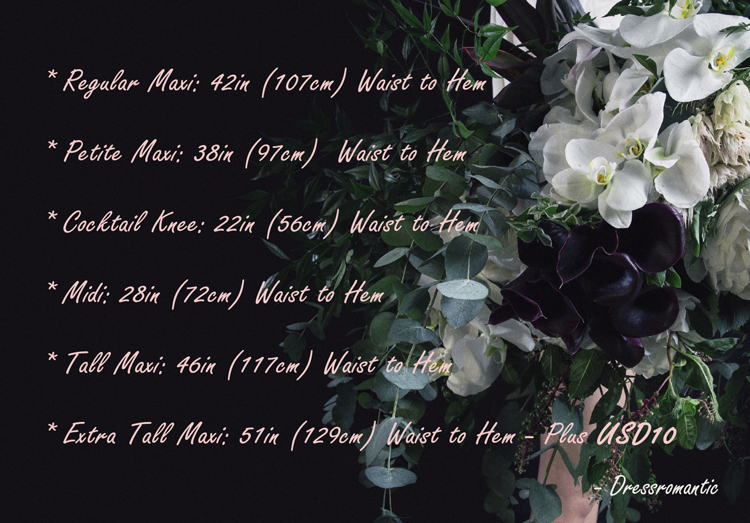 We offered many Length options for choice. 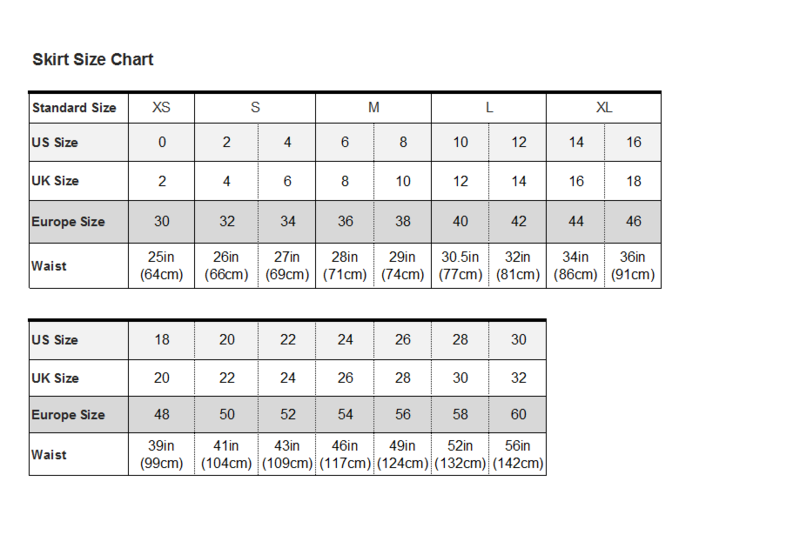 Just add it in your order's note or send email to us. 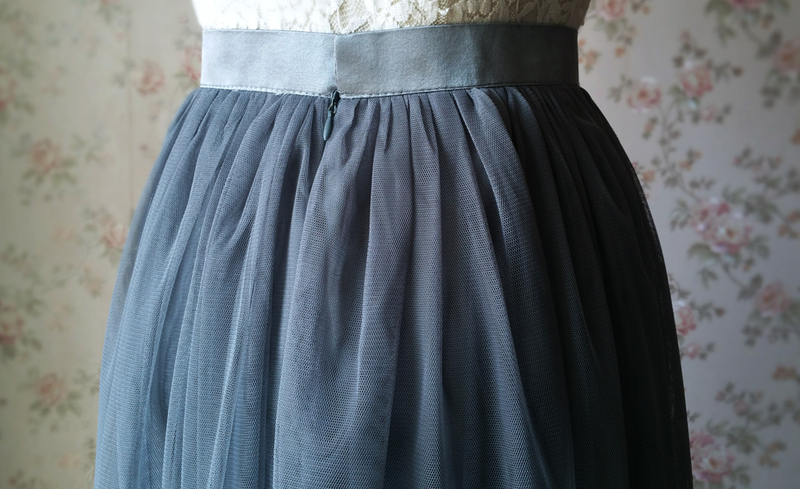 * Colors: Dark Gray as picture showed. 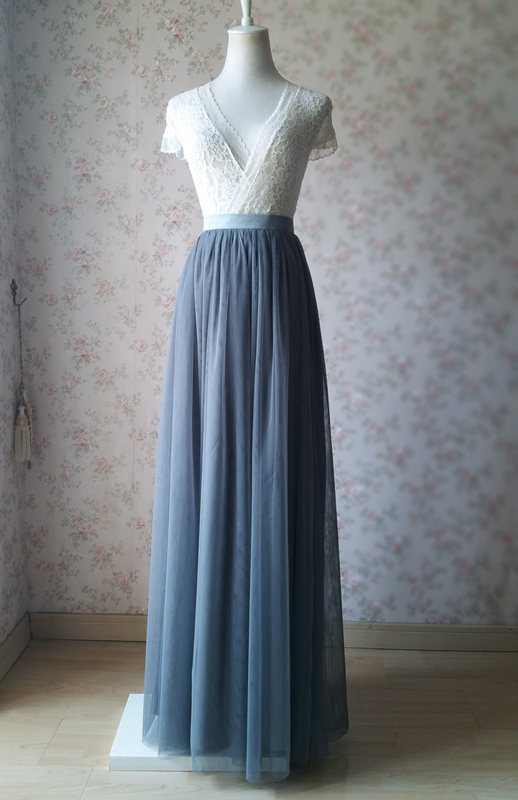 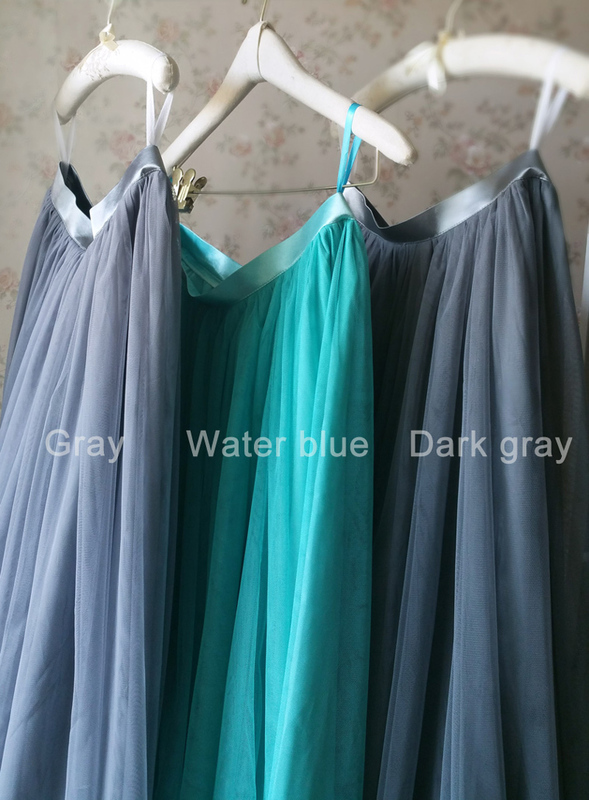 And there are light gray, gray and other many other colors for choices.Best Choice for bridesmaid girls on your wedding. 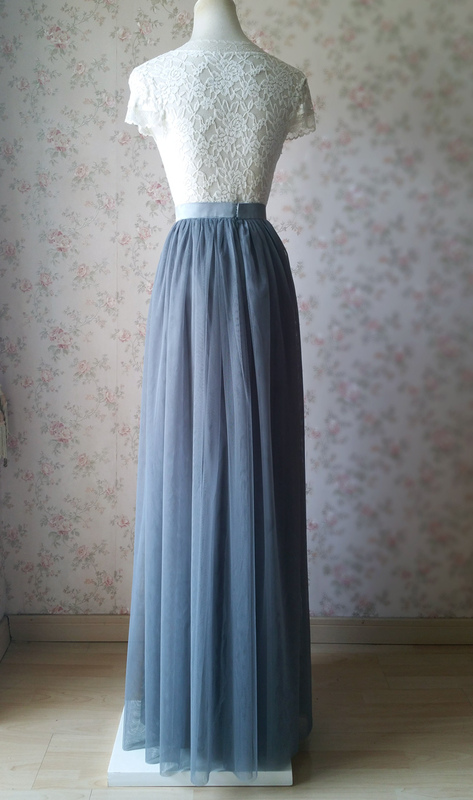 * Classic Fixed Waisted Band with back zip, and elastic waist band version is also available. 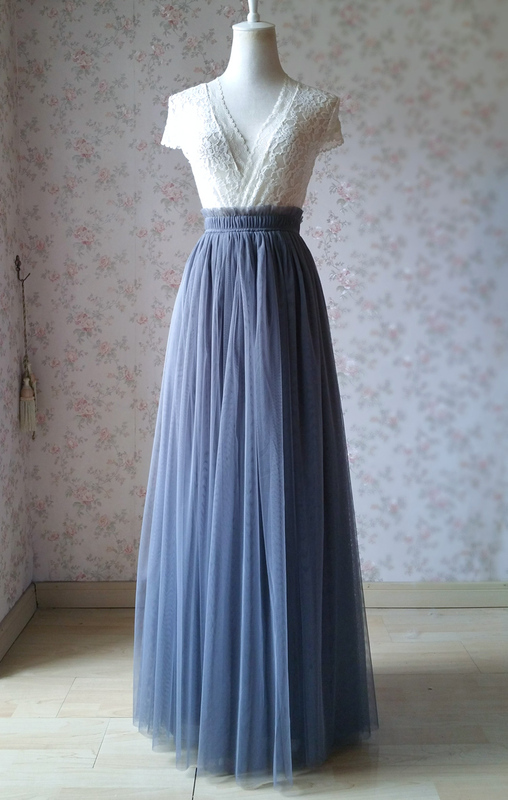 Just add "elastic waist band option" in your order.